Rabies is a deadly disease of mammals, including human beings. It is maintained in various populations of wild and feral carnivores all over the world. A variant of the rabies virus, adapted to foxes, has been circulating in the arctic fox populations of northern Quebec for several decades. 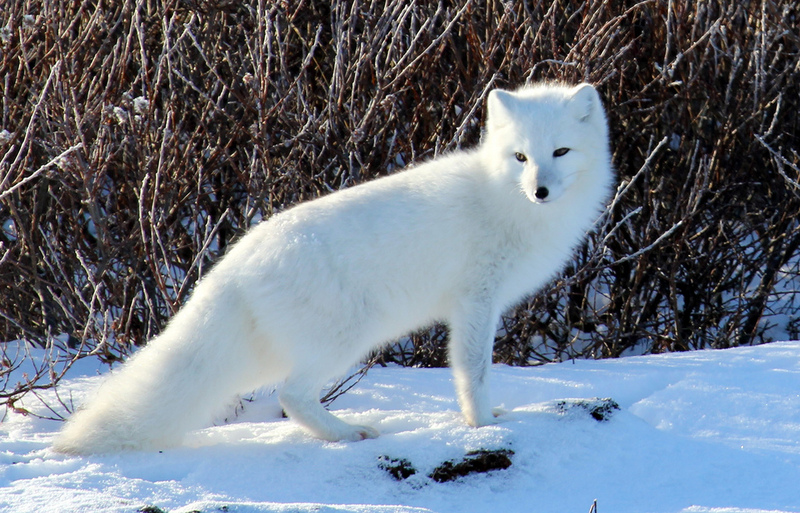 Since January 2012, the number of reports of arctic foxes with abnormal behavior has been higher than usual and several of these animals have been diagnosed with rabies. This increase in rabies activity may be linked to an increase in the arctic fox population during past years which enhances the potential transmission of rabies among animals. This increase in rabies occurrence in foxes is accompanied with an increased risk of transmission to domestic dogs and people. Several dogs that had been in contact with rabid foxes were diagnosed with the disease. People that have been in contact with one of the rabid dogs have received post-exposure treatment. I’ve recently had an incident with a fox that had no fear for me at all. It was running toward me and would not back off? I think it had rabies or protecting it space I don’t know? It’s was in the area of Riviere des Prairie were it very public!! I would hate people to get bitten!! What should I do? Thanks Danny Leblanc! !